How to measure a window for valance curtains? Mainly we need two measures from you: width and height of the window treatment. 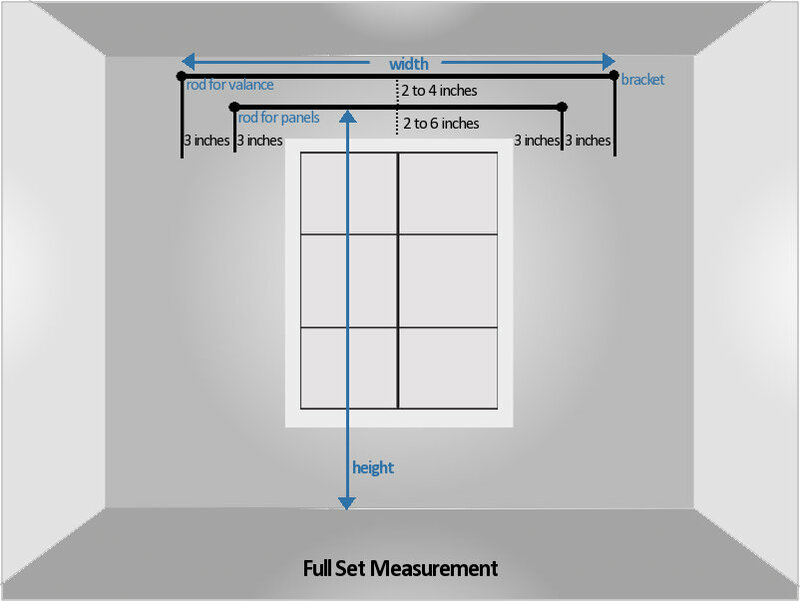 Take the following key measures to help decide the size that best fits. In general, the width of the valances and curtains could be anywhere between (a few inches over) the window width and (a few inches short of) the wall space. 6-inch rule: add at least 6 inches to the window width for every curtain rod you use when you order online. 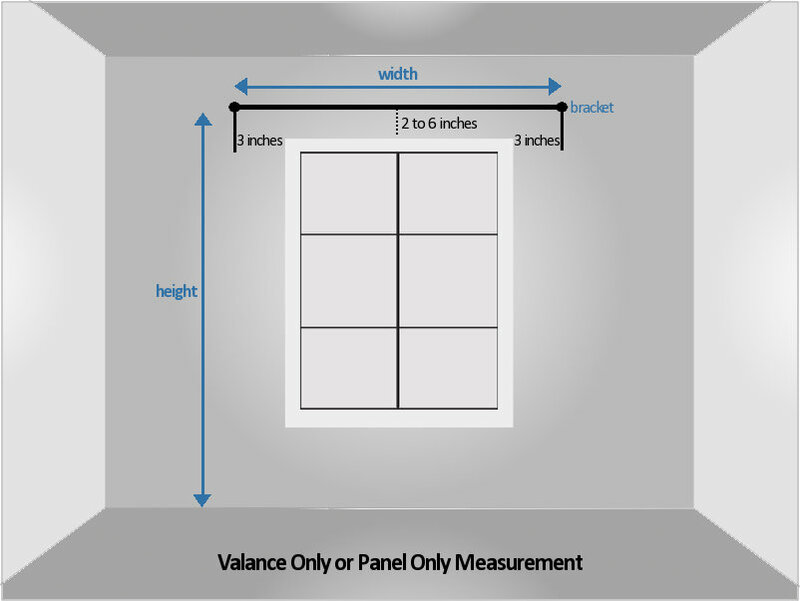 For valance only or panel only, you want to add at least 6 inches (3 inches on each side of the window frame) when you order online as you most probably need only one curtain rod. For a full valance curtain set, you might need two rods and want to add at least 12 inches (6 inches on each side of the window frames) to the width of your window frames to get the width for the curtain set. 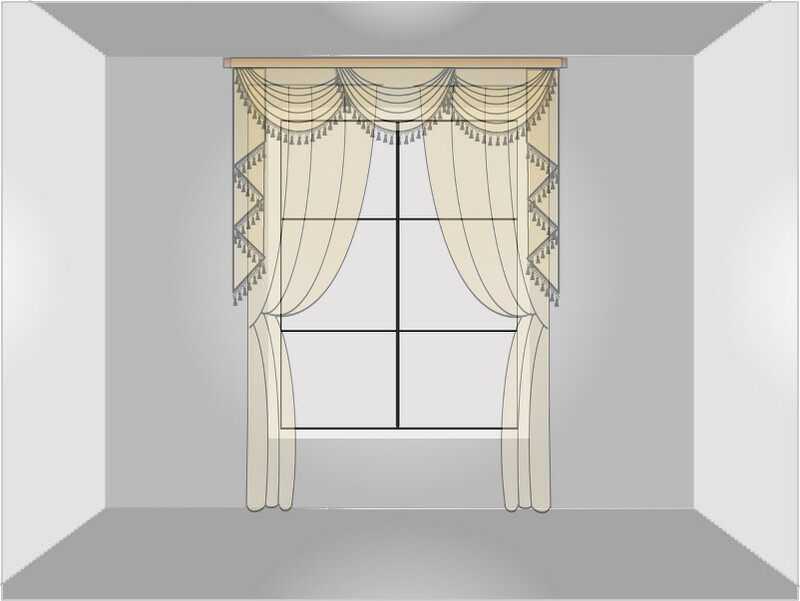 This way, you can make sure that the window will be fully covered by both the drape panels and valance. If the wall space allows, you can make the window treatments much wider and more dramatic by adding more than 12 inches. However, if the wall space is limited (< the width of the window frames + 12 inches), take the wall space (subtract several inches for rod installation) as the width of the window treatment. For a valance curtain set, you can choose the desired height (from where you want to hang the curtains to the baseboard or floor). If you’d like a formal, puddled look for the curtain drape panels, feel free to add several more inches to the height measurement for the curtain drape panels. If you have any questions regarding how to measure to purchase a C'È LUCE curtain set, please do not hesitate to contact us at contact@celuce.com.